This week millions of Americans will be united in commemoration of the historical event of Jesus Christ’s resurrection. To Christians, this act marks the culmination of the life of one who came as the Lamb of God to fulfill the requirements of the Mosaic Law for the propitiation and expiation of mortal sin. To adherents of Christ and His teachings, such a belief is fundamental, and consequently, inviolable and sacrosanct. But regrettably, there are many who so believe, who project their private personal theology onto their public political beliefs with similarly unyielding intransigence. There must be a distinction between what is private and public, for politics is not a religion. Religion is personal and private, and between a man and his God, even if one’s “god” is secular humanism. Those who are devout in their religion will not compromise or equivocate in those personal convictions, and frankly, they’d be hypocritical if they did. 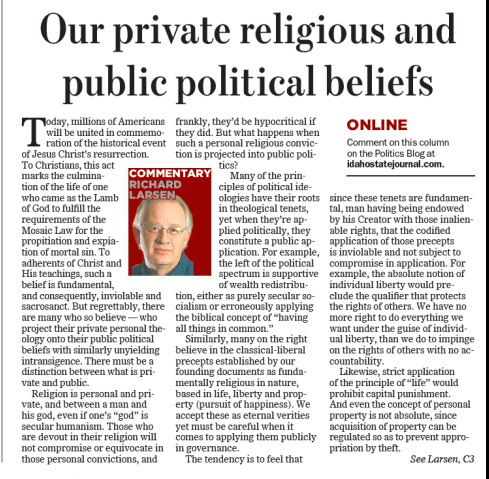 But what happens when such a personal religious conviction is projected into public politics? Similarly, many on the right believe in the classical-liberal precepts established by our founding documents as fundamentally religious in nature, based in life, liberty, and property (pursuit of happiness). We accept these as eternal verities, yet must be careful when it comes to applying them publically in governance. The tendency is to feel that since these tenets are fundamental, man having being endowed by his Creator with those inalienable rights, that the codified application of those precepts is inviolable and not subject to compromise in application. For example, the absolute notion of individual liberty would preclude the qualifier that protects the rights of others. We have no more right to do everything we want under the guise of individual liberty, than we do to impinge on the rights of others with no accountability. Likewise, strict application of the principle of “life” would prohibit capital punishment. And even the concept of personal property is not absolute, since acquisition of property can be regulated so as to prevent appropriation by theft. So even though these are correct fundamental principles, their application is clearly negotiable, or up for compromise, as they are applied politically. Even our country’s founding document that established the system of governance for the new republic based in those classical-liberal ideals, was hammered out through compromise. Representation in the new federal government was compromised in such a way that the states had equal representation in the upper chamber, and the populace equally represented in the House. 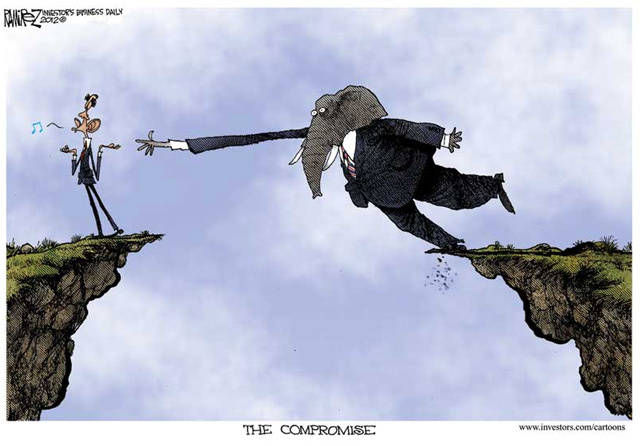 The election process itself, for the two legislative chambers as well as the president, was the result of compromise. And without the compromise on slavery, there would have been no constitution, and consequently, no United States of America. The Constitutional Convention itself was a compromise, since many states wanted to merely revamp the Articles of Confederation, rather than draft an entirely new constitution. 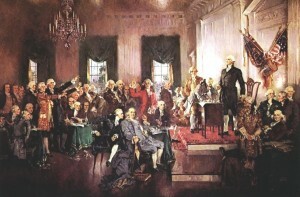 By all accounts, the Constitutional Convention was contentious and divided, with the disputation often based on deeply held convictions of the delegates. In what will stand as one of the greatest efforts of compromise in history, the new Constitution was ratified by nine of the thirteen colonies at the convention. State conventions at each of the colonies subsequently ratified the Constitution unanimously, even though several states initially rejected the document. By persuasion, reason and education, every state ultimately voted in favor of the new system of governance. In short, compromise resulted in the founding of America, even though the principles upon which it was founded were considered by many to be sacrosanct. Did the founders rationalize or diminish their convictions by compromising? 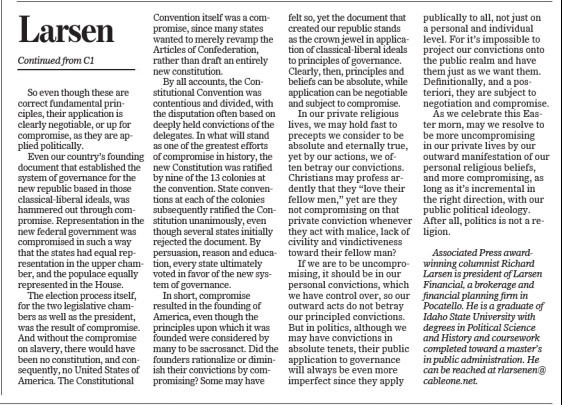 Some may have felt so, yet the document that created our republic stands as the crown jewel in application of classical-liberal ideals to principles of governance. Clearly, then, principles and beliefs can be absolute, while application can be negotiable and subject to compromise. In our private religious lives, we may hold fast to precepts we consider to be absolute and eternally true, yet by our actions, we often betray our convictions. Christians may profess ardently that they “love their fellow men,” yet are they not compromising on that private conviction whenever they act with malice, lack of civility, and vindictiveness toward their fellow man? If we are to be uncompromising, it should be in our personal convictions, which we have control over, so our outward acts do not betray our principled convictions. But in politics, although we may have convictions in absolute tenets, their public application to governance will always be even more imperfect since they apply publically to all, not just on a personal and individual level. For it’s impossible to project our convictions onto the public realm and have them just as we want them. 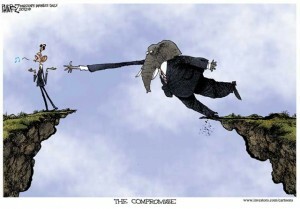 Definitionally, and a posteriori, they are subject to negotiation and compromise. As we celebrate this Easter morn, may we resolve to be more uncompromising in our private lives by our outward manifestation of our personal religious beliefs, and more compromising, as long as it’s incremental in the right direction, with our public political ideology. 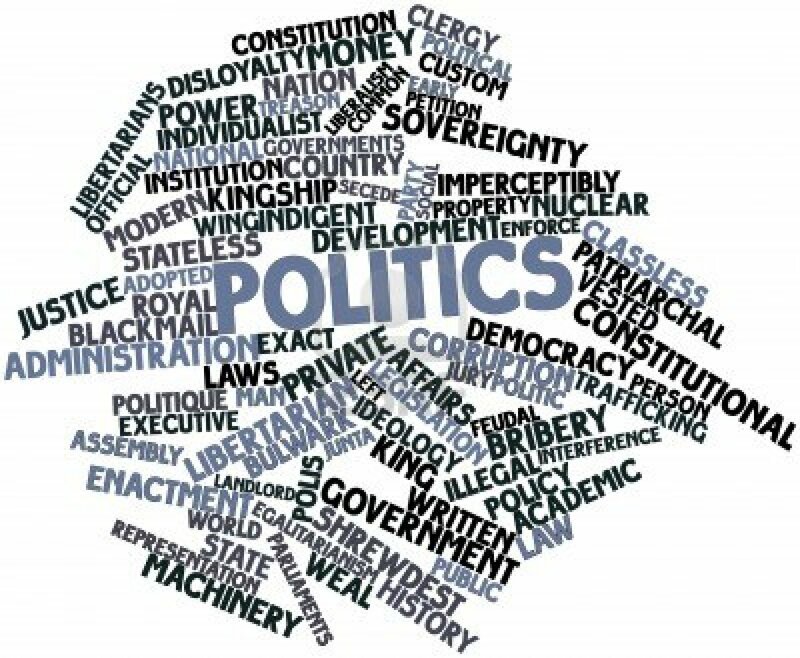 After all, politics is not a religion.